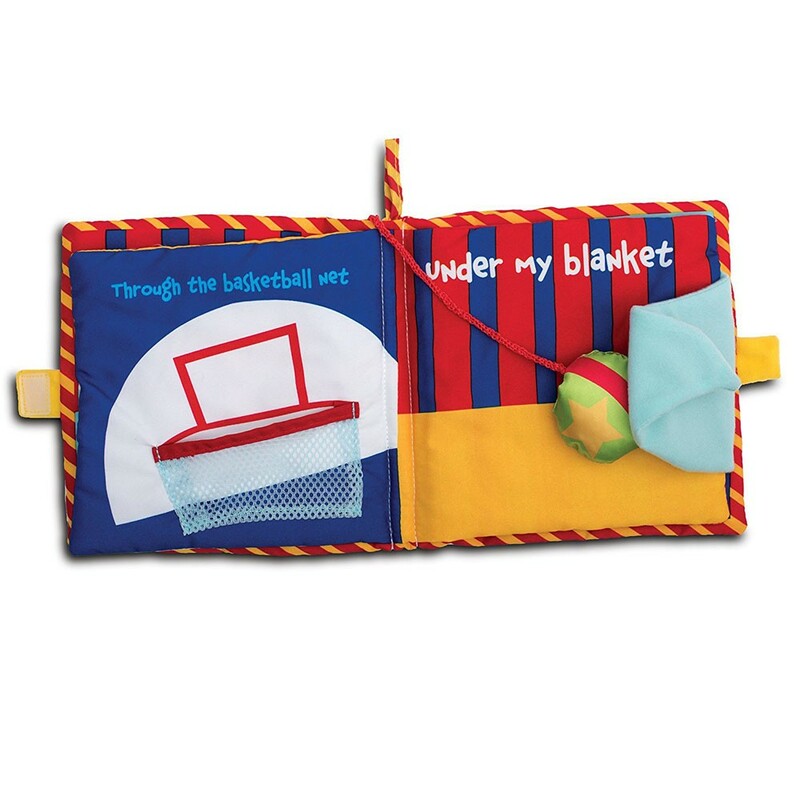 Meet friendly animals, find peek-a-boo surprises, repeat sounds, explore textures and have first reading experience with this Find the Ball activity fabric book! 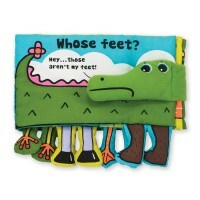 Find the ball as you turn the soft pages of this first baby book! 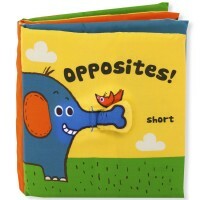 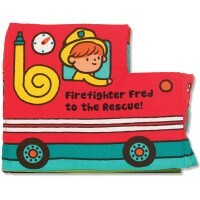 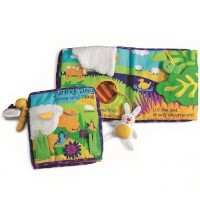 Find the Ball Baby Activity Soft Book is a brightly colored first fabric book for infants. 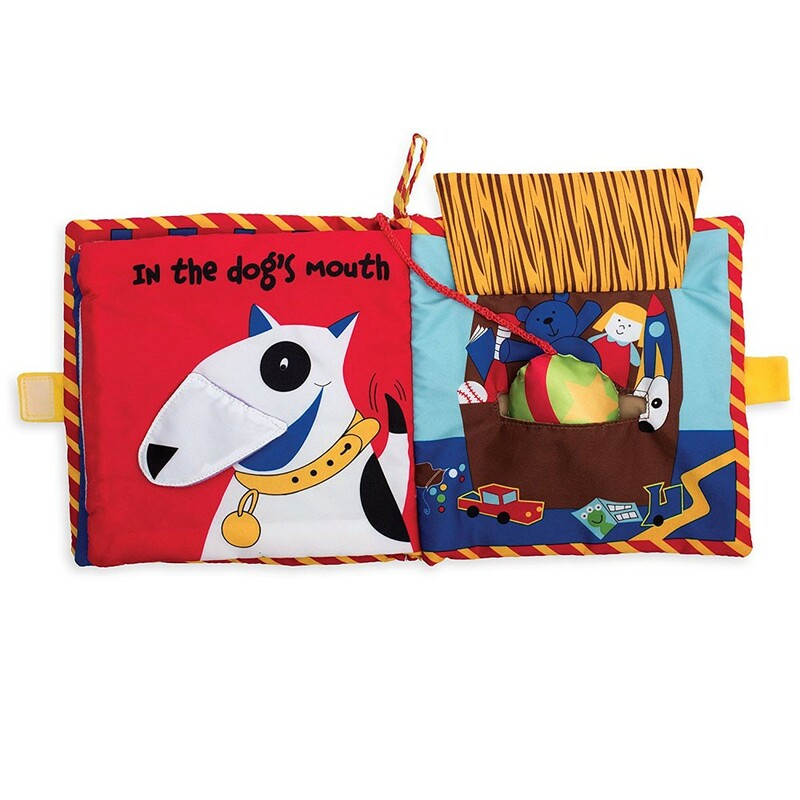 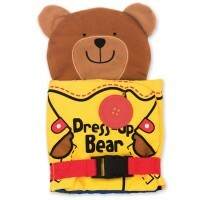 This baby activity book features familiar images of objects and animals with the simple phrases and developmental activities. 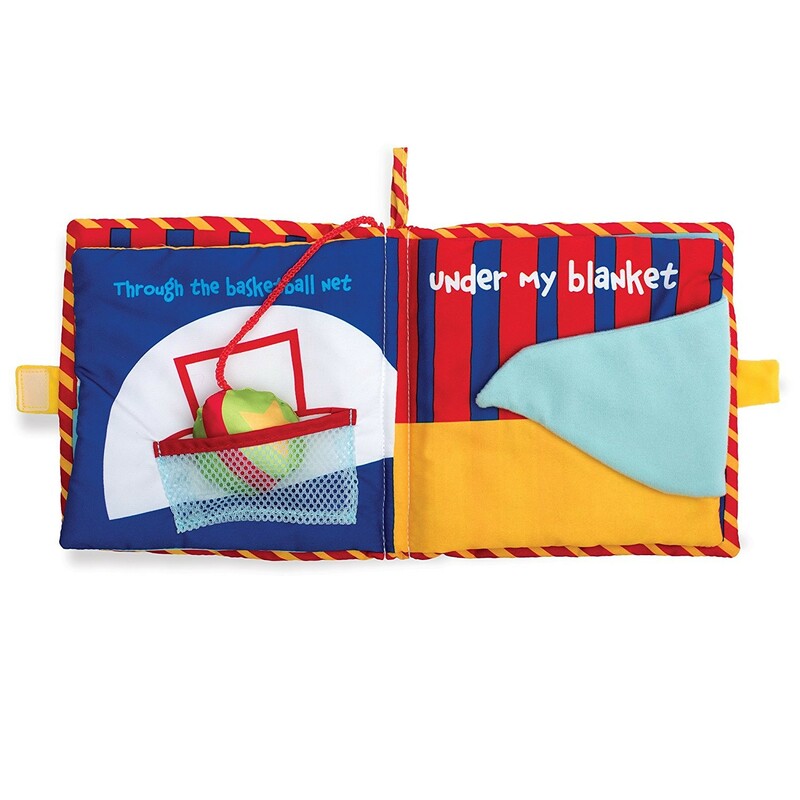 This soft activity book has 6-pages that illustrate a simple story of a bright green ball. 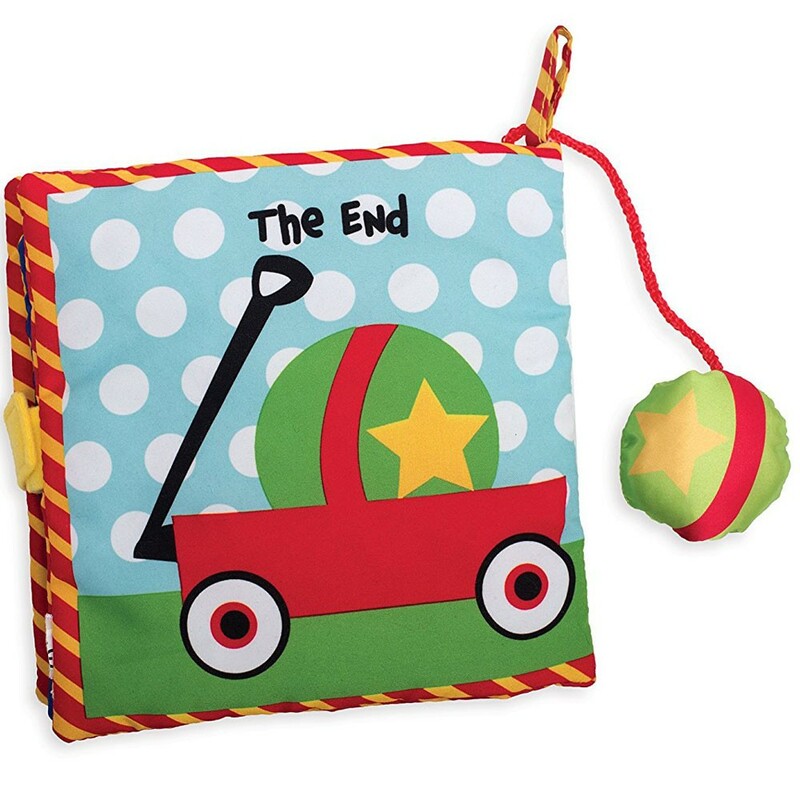 The baby story book comes with the attached ball to add it to every page. 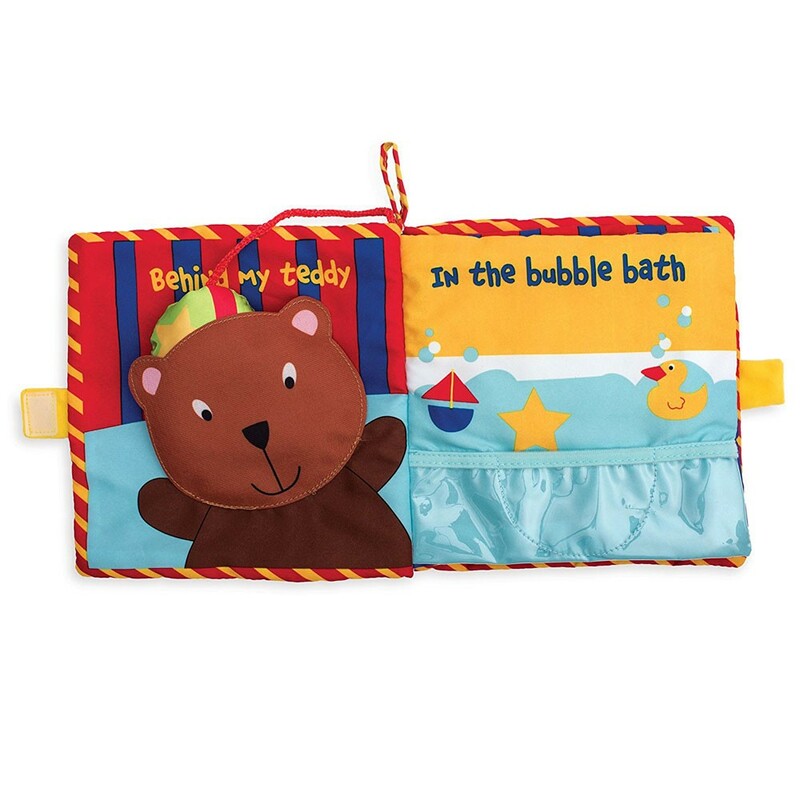 Ball in in a tub, so add it to the touch-n-feel bath water. 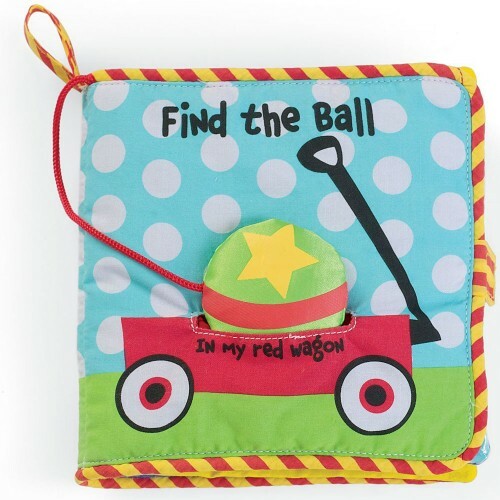 Ball is in a wagon, so put it in the wagon 'pocket'. Your baby will love moving the ball from page to page and flipping the flaps to discover where the ball has landed. 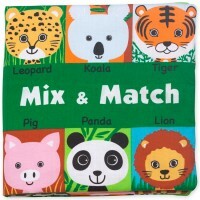 Meet some friendly animals, find peek-a-boo surprises, repeat sounds, explore textures and have first reading experience with this activity fabric book! 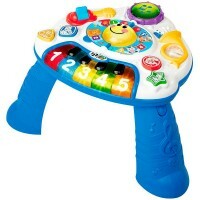 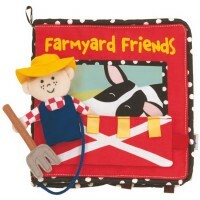 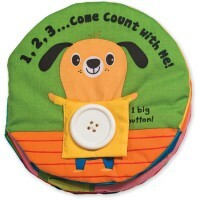 Dimensions of package 7" x 7" x 1"
Write your own review of Find the Ball Baby Activity Soft Book.